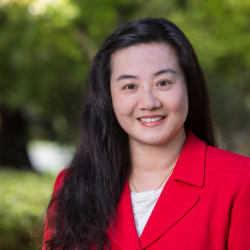 Jing-Jing Zheng is the Accounting Manager at the William and Flora Hewlett Foundation. She supports long-term budget planning and is responsible for tracking and reporting grant activities to the foundation’s board. Prior to joining the Hewlett Foundation, she provided internal audit and business analysis expertise to firms in the software and semiconductor industry. She started her accounting career with Burr Pilger Mayer, where she received her C.P.A. license.